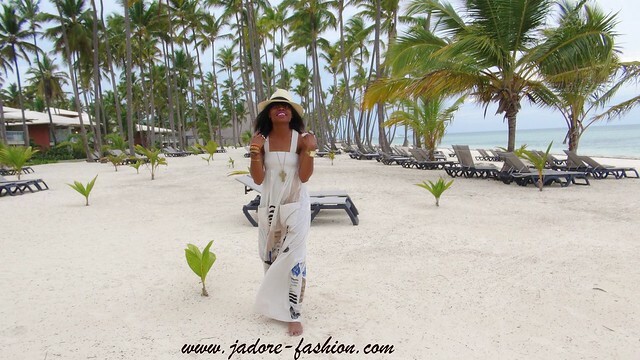 I enjoyed the beautiful Punta Cana. 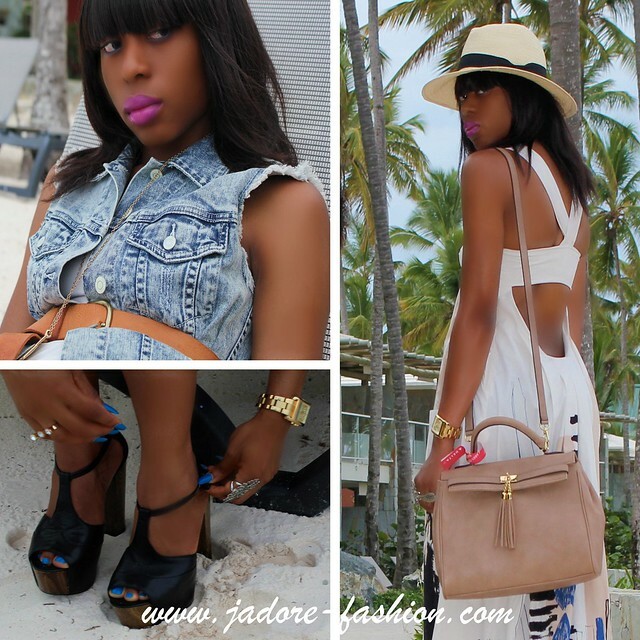 Like I promised, in the next few posts, I will be showing the outfits I wore during my trip to The Dominican Republic. I wore this dress on the first day at the resort. What better dress to blend with the lovely back drop of palm trees and the clear blue water. I was not ready to get soaked so I laid by the beach while enjoying the cool ocean breeze and catching up on the latest Vogue magazine. love the dress especially the cut of the back! looks like a lot of fun! Omgosh! That dress is absolutely gorgeous!! Your vacation looks really nice! Makes me want to forget about work, and school, and get on a plane right this minute! lol. I enjoyed the video as well! Les photos sont vraiment superbes.. elles nous transportent ds une ambiance tres paisible. Vous fait un travail super. N'hésitez pas à laisser un commentaire sur le mien en signant avec votre blog, comme vous voulez si je vois quelque chose de vous sous un de mes posts ça me fera très plaisir. Aww jealous! Looks so pretty there! That dress is so lovely! I so wish I were in your shoes...Enjoy your vaca! I love that dress! Looks like you are having a great time! You look very pretty and relaxed! HAve a great time there! 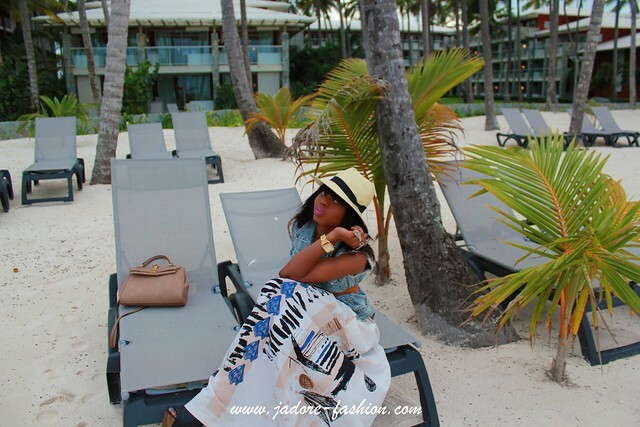 i love all this dress this bag aldo i love the punta cana peaceful. i love the dress and i have the same bag in black. I am loving that dress, can I please have it. LOL Hope you are having a great vacation. The scenery in your pictures are just heavenly. *le sigh* I LOVE that H&M dress. You wore it well. Great photos. Love that first dress and the hat. this is a killer outfit! i like your lipcolor 2! yay for vacay!!! i just posted some pics from my trip too. Lovely and that beach looks nice as well. I like how you teamed the sleeveless jacket with the dress. I absolutely love your dress is gorgeous and your pics are just fantastic. These photos are sooo beautiful! It's the place. That dress is amazing! That dress is awesome! 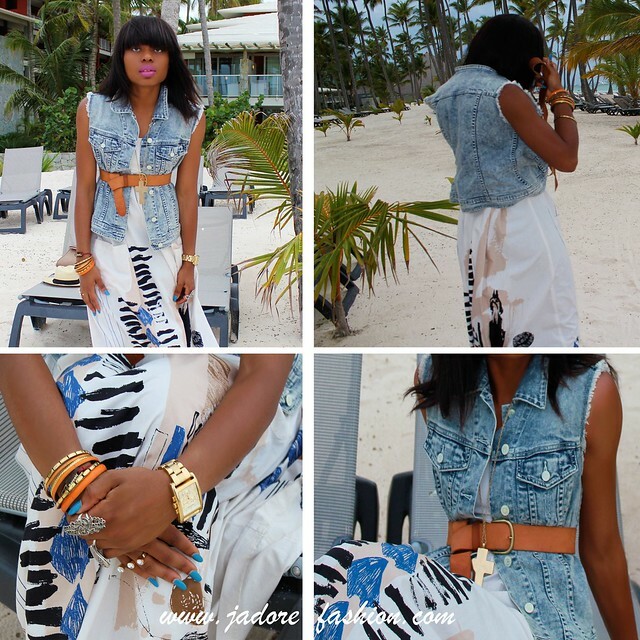 I love the pairing with the denim vest and the belt as well and the lip color is dope as well. The beach looks beautiful. Enjoy! I love the detail on the dress especially the back and your lipstick is lovely! now that dress is gorge! You look fab, that dress is hott! What resort did u stay in? im looking to go to DR and need some recommendations. Absolutely love this look! Your purple lips are hot too! I want to be there with you now it looks so beautiful and relaxing. Your dress is gorgeous doll.